The HAUS replacement tank is specially designed to perfectly fit your HAUS Vape Pen. Perfect for when you need to replace your old tank. Or purchase a few extras for quickly changing of your favorite e juices flavors. Holds up to 2ml of your favorite vape juice. 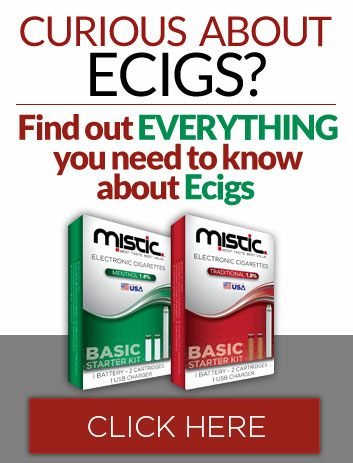 HAUS by Mistic – taking your vaping experience to the next level! The Haus PV Disposable Tank works great. I have been purchasing them for myself and family members for more than a year. These do not last very long at all, maybe a week, ten days at the most. They’re nice while they work, but not worth having to repeatedly purchase them. These tanks work great. I wasn’t going to post a review but decided to based on the other reviews. I’ve only had one of these leak in the 30+ of these I’ve used. The only time they leak is when you bend them in your pocket. The time you get out of them does vary. On average I would say I get a week and a 1/2 out of each one. I am new to vaping, having started in July, and after spending a small fortune at my local vapor store, I wasn’t happy with all the problems I was having with leakage, coils, charging etc. In desperate need of something I stopped at my local drugstore & spotted your Haus vapor pen & decided to try it. It was fantastic! I went back & bought another one & several replacable tanks. I have not had a single problem to date. I order my tanks from you, because its very convenient & I’m thrilled that I tried your product just by luck. These do not last long at all. I have bought over 6 at a local retailer, at $10 a piece. They just stop working. It’s very frustrating and I would not recommend, if you don’t already have the batter/tank set up. I know there are other brands with longer lives. But I don’t know which are compatible with the haus vape pen battery. They do work great while they last though. I’ve never had them leak or have an issue beyond them dying within a couple weeks. I wish they lasted a bit longer. They average about a week but that is still a lot less than buying cigarettes for a week. I’ve been using Haus tanks and juice for a couple of years. It’s true that once in awhile you get a tank that won’t work. Also true that they don’t last as long as we’d all hope. They last roughly 2 weeks. The coil is what has a lifespan and this is a disposable product. If you bought a tank from a vape shop, you’d eventually have to replace the coil. I like these tanks because they are easy to fill without spilling the juice everywhere, as compared to a couple of different tanks I did get from a vape shop.